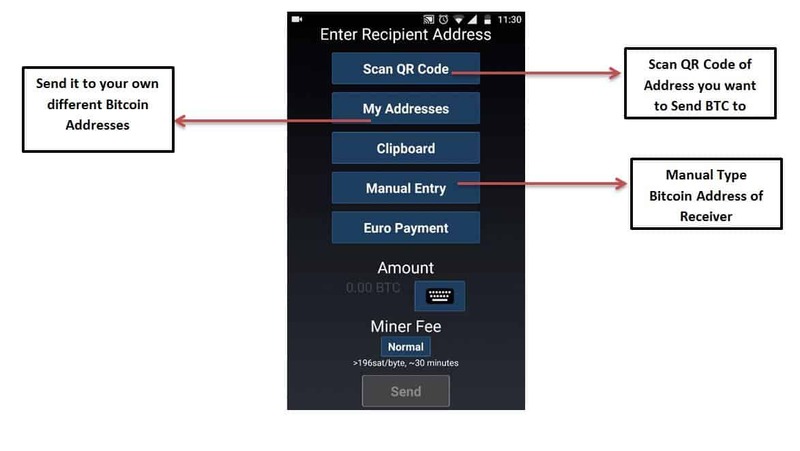 Mycelium Bitcoin Wallet is one of the most secure & popular wallets for mobile phones. It comes with the functionality of securing your Bitcoin Private keys on the device itself, without trusting any third party or hosted services. Mycelium is an HD wallet. HD is short for Hierarchical Deterministic. All HD wallets use Master Seed Key which is a string of 12 random words. This seed is used to derive all further bitcoin addresses in a sequential manner.each of this new address is calculated by appending a counter to the end of the initial seed key. That’s why it is called Hierarchical Deterministic because all the bitcoin addresses are created from a single seed key only. This seed key needed to be back up once and kept safe so that you can back up your wallet in case your mobile device is lost or damaged. It is also having an unparalleled functionality of Cold storage spending which allows you to spend bitcoins by connecting your hardware wallets such as Trezor and Keepkey or Paper Wallets also. 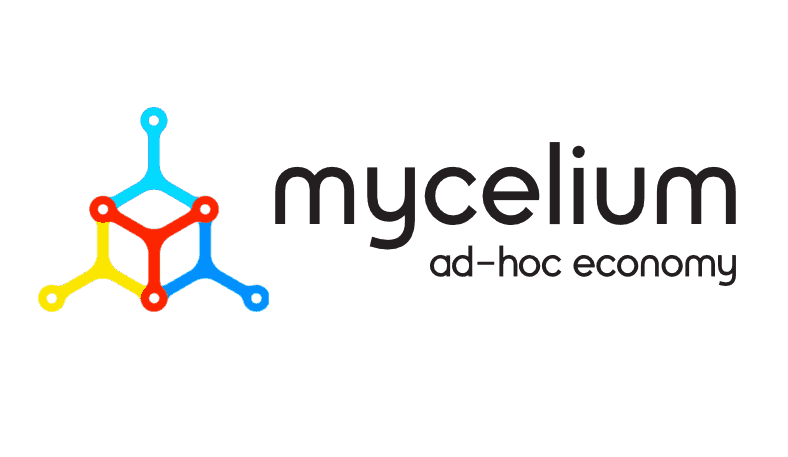 At present Mycelium app is available for Windows, Android and iOS operating systems. Note: I have shared video guides too. 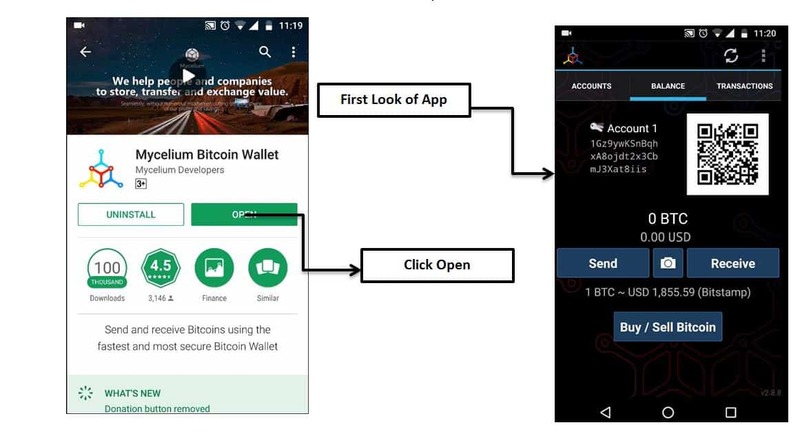 If you like to learn about setting up MyCelium Wallet watching videos, you can do that by scrolling to the bottom. 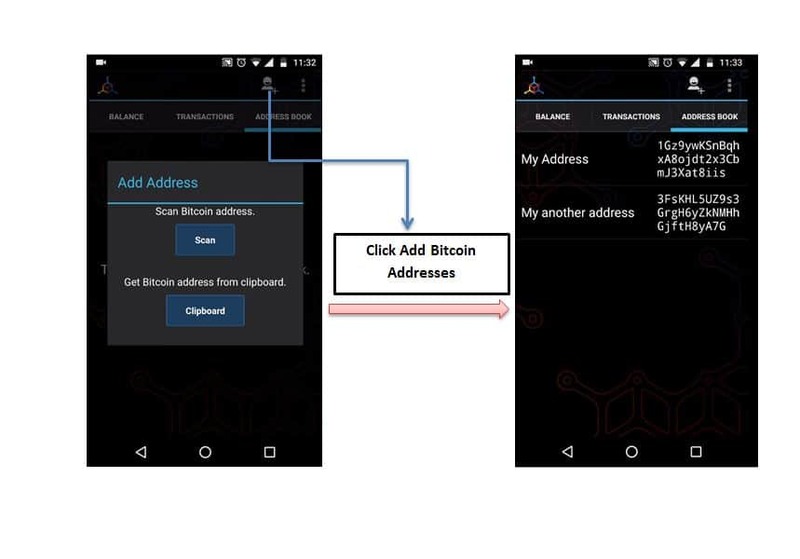 Step 1: Download Mycelium Bitcoin Wallet from Play Store and click Open and select create new. Your wallet is installed and ready to use. But I strongly recommend you to secure it. Pin Code is set in this Wizard to keep your bitcoins safe.No one can spend these bitcoins without this pin or cannot change your seed key. To receive payment go to Balance Tab, Click “receive”. If you want to enter the amount to be requested (optional field). Share your bitcoin address QR code or alphanumeric address using the option “Share Bitcoin Address” or “Copy To Clipboard” with anyone from whom you want to receive bitcoins. Check for received funds under Transaction History. As the address is entered, enter the number of bitcoins you wish to send. Select the kind of miner fee you want to pay for confirmation of this transaction. It will prompt you to enter the pin code to confirm if you want to carry out this transaction. Enter Pin Code. Priority-Takes 600 satoshis/byte and takes approx 10 mins to confirm the transaction. Economic-Takes 143 satoshis/byte and takes approx 2 hrs to confirm the transaction. Normal-Takes 196 satoshis/byte and takes approx 30 mins to confirm the transaction. Low-Priority-Takes 129 satoshis/byte and takes approx 3 hrs to confirm the transaction. Mycelium transaction history tab enables the user to see how many bitcoins are received or send to what address at what time in the past. Mycelium allows you to connect to your cold storage devices such as Ledger Nano S and Trezor so that you can spend through your app. 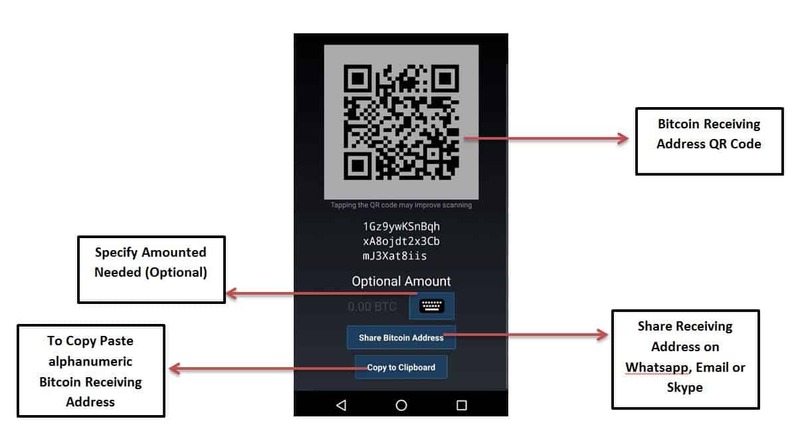 It also allows you to scan QR code and spend through your paper wallets. Note: In case your device is lost or damaged or your password lost. Don’t Worry Your bitcoin cannot be spent without the pin code. Just simply uninstall your mycelium app and reinstall it and choose to restore the backup. 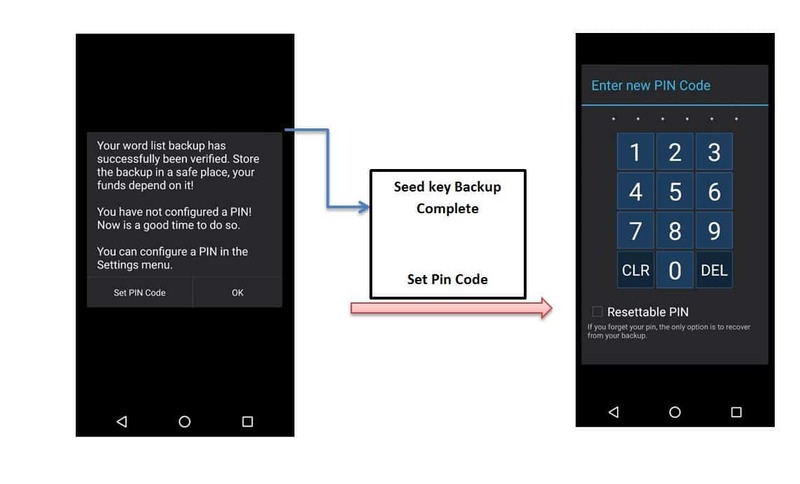 Now with the help of 12 Words Seed key you will be able to restore your wallet and set a new pin. If lost your phone or damaged it. Get a new device and re-install mycelium. When you open the app select a restore wallet option, and you will be prompted to enter 12 Words Seed key and your funds will be restored. Hope you liked the tutorial on setting up your Mycelium wallet. Below is the video tutorial covering each and every necessary aspect to mycelium new wallet setup and also how to restore your old wallet. Do let me know your comments or questions on this. Until that time let’s keep learning and sharing the Bitcoin Revolution with Coinsutra. Until that time let’s keep learning and sharing the Bitcoin Revolution with Coinsutra. I lost my 12 word seed key. Any way to recover it? Nope, there isn’t a way out unless you have a back up of it already. Thanks for the tutorial – really helpful. I am wondering how a mycelium wallet compares to a hardware wallet? If one backups the keys , isnt the functionality similar? Mycelium is a Hot wallet. It stores your private keys on the mobile device which is always connected to the internet. Whereas Ledger Nano S Like wallets is Hardware wallet, they are not connected to the internet. 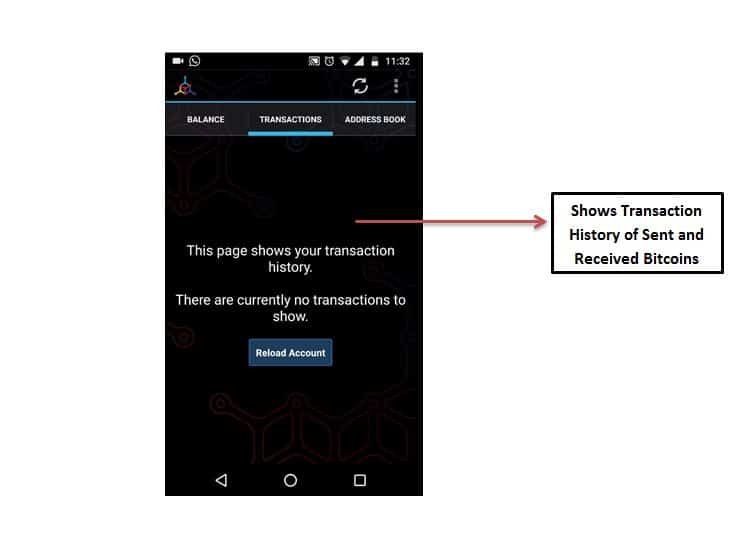 The transactions are signed in an offline environment on the device itself. So, what if i will keep my android phone offline or switched off between payments it will still work correctly? Or it needs be always online for sync reasons? I am thinking to use dedicated phone as a wallet that can be switched on only when I need make or receive payment. Another thing i am not sure what about backup. If you can restore your wallet content using 12 seed words it means that your bitcoins are not saved phisically on your phone, just like you said these words are using to decript wallet addresses i quess from Mycelium server. Thats right? Folowing this path i have another question if your addresses are stored on Mycelium server even you keep very safe your seed words, you can still to loose your bitcoins in case of hackers attack on Mycelium server. What is the difference between e.g. Mycelium wallet and e.g. hardware wallet like Trezor as content of Trezor wallet can be restored using seed words as well. I wanted to write short question but during writing new questions was born. 1) you need not be online to receive payments you can be offline when you come online your wallet with sink with blockchain. 2) 12 words seed are not decrypted on a server because there is no server. It happens in your wallet via complicated one-way hash functions. Know more about hashes. You can be certain that if someone doesn’t know your seed this means your funds are safe. That changes time to time. 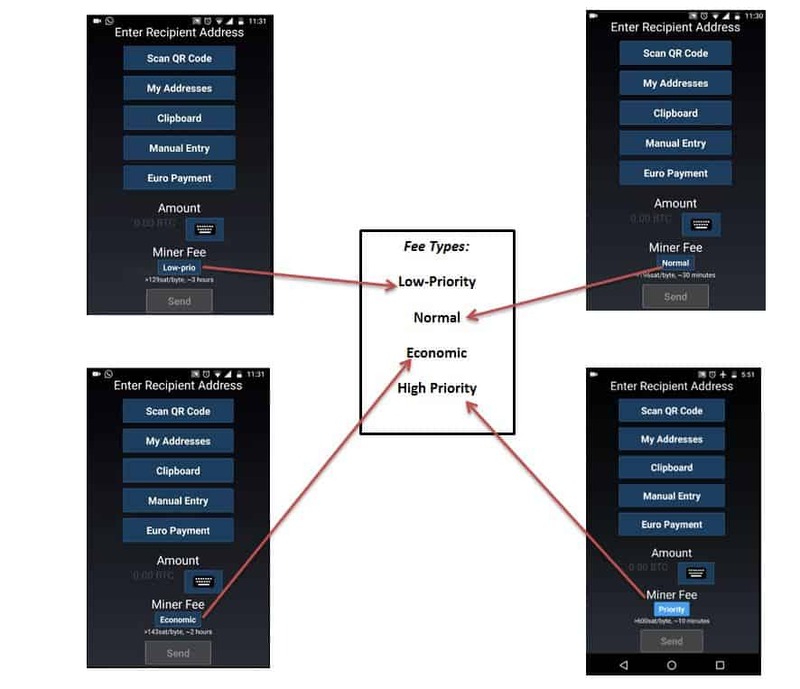 Moreover, some wallets like Mycelium suggests you bytes/Satoshi with that and this resource – https://bitcoinfees.21.co/#fees you can find an approximate fee that you would end up paying. Do we get bitcoin gold if we use mycelium wallet? But you will be required to do some work. 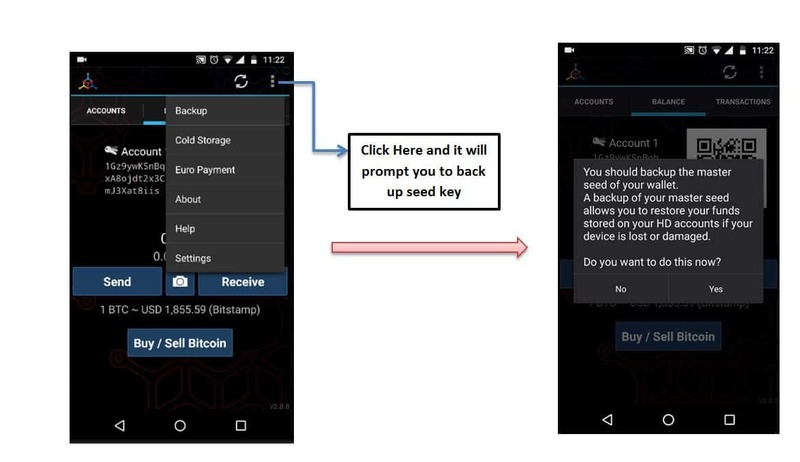 After the fork, you will be required to use your mycelium seed key or words to set up a BTG wallet that supports BTG. Could you please detail the steps to retrieve the BTG from Mycelium wallet? Use this https://coinsutra.com/claim-bitcoin-gold-btg/ and let me know how it goes in the comments below. or else simply restore your mycelium wallet in Conomi wallet and enable BTG wallet you should be able to see your BTG. i ordered a ledger namo for the upcoming fork and should have it on 24th. I currently keep my bitcoin on gdax because i tend to buy and sell on movement btc, eth and ltc. but i want to bitcoin gold. lost out on come bcc last time and got only based on what i had on few other sites. Would you recommend using ledger for hardstorage or just opening an account and putting my btc in here. I do not have alot (5) but still be nice to get those free coins. Yeah, free coins are always good and 5 BTC is a decent amount. You can keep it in your Ledger Nano S and later when Ledger supports it you will be able to claim it. I received bitcoin to my single address account (Not HD Account) but then how to spend it (send bitcoin), since there are no “SEND” button. Could you please tell me how to solve this problem? Haven’t seen such problem in mycelium. Please contact mycelium developers. ci can only send bitcoins from my address to someone else. how do i convert my btc into cash? I have a Blackberry Passport with OS 10.3.2.2474. I also have a Ledger Nano S with firmware 1.1.10. I wrote down my 25 words and set up my PIN, also download the Ledger apps in my laptop, everything seems ok. I download and install Mycelium App for Android 2.8.5, wrote down my back up words and set my PIN, seems to be working fine. But when I try to connect my Ledger Nano S using OTG adapter first seems to recognize the device, then stay thinking and then give me a message of device disconnected? I did test the OTG adaptor with a mouse and with a USB memory storage, works fine. I also tried activating and deactivating the browser option in the Ledger Nano S.
I am missing any step or config parameter? Contact Ledger Support seems you have a prob with the device. How do I send money from Mycelium to my bank account? You need to transfer Bitcoin to an exchange like CEX, CoinBase or any other and then sell it. After this you can transfer funds to your bank account. 1. Exchanges do not create private keys? Correct? But, Wallet creates private key? 2. Does the wallet create new private key for every transaction or is it only 1 private key and creates new public key per transaction? 3. Can one account holder have multiple private keys in one wallet for preference such as different private key based on volume or different cryptocurrency? 1. Yes, wallet creates private keys, exchanges do have but they don’t give you the keys. 2. New private key per tx. 3. Yes, you can do so but you need not worry about all these because Mycelium is an HD wallet. I forgot my pin, how many times can i guess ? because now app is very slow, because i ll try too much times yes ? When app become fast again, to try again ? i need to do breake ? Not even Satoshi Nakamoto can help you forget about us. Jokes apart try and retrieve atleast one of them from where you have made a back of your seed & PIN. Yes, you can’t opt out of network fee or transaction fee while making transactions. You get early alert to all material that we publish. hi, i just send bitcoin to my hd wallet mycelium from bittrex and i can not see my fund in my wallet same if my transaction is confirmed in the bockchain info so what can i do ? Please clarify your question. It is not clear. Basically i am wondering how i can retrieve my BCH and and BCG from a paper wallet? This is all still just too complicated. What we need is an easy to understand way to buy and sell Bitcoin. Mycelium wallet worked great to recieve bitcoin from a Bitcoin ATM. Can i receive Ethereum to my Mycelium wallet? No, Mycelium is for BTC only.